The final entry in Spiderweb's RPG series. 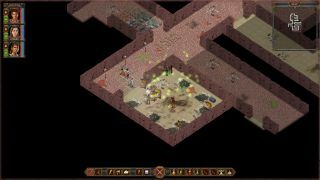 Spiderweb Software's Avadon series wraps up in a couple of weeks, when the third part of the fantasy trilogy pops up on PC (and Mac and iPad). I liked what I played of the first part, and as is the Spiderweb way, The Warborn looks pretty much identical to that, although there are probably lots of small changes under the hood. You'll remember that you play as the Hand of Avadon in this series: a "warrior and spy, judge and executioner, with nearly unlimited power to fight the enemies of your homeland". Your enemies this time include barbarians and monsters, who are currently trampling all over that homeland, the jerks.